Praising Marathi cinema is a kind of in thing, these days. You would find quite a few movie buffs on Twitter or elsewhere, catching up on the few absolute gems from Marathi cinema in recent times like Fandry or Killa and then going gaga over it. Directors like Umesh Kulkarni or Nagraj Manjule are celebrated not only in their home state but by cinema aficionados from all over the country, and rightly so! But there is one name that is hardly discussed, especially among the English media of all kinds, and that is of the director duo of Sumitra Bhave-Sunil Sukhtankar. I would stick my neck out and say that their body of work over the last two decades is as good as any other contemporary filmmaker in India. But, sadly, their cinema remains mostly unseen and thus underappreciated. This post was prompted after I watched their film Astu which has released in theatre now. It is the kind of film that you have come to identify with Bhave-Sukhtankar. There is almost always some social commentary that underlies in their film, but the highly skilled filmmakers that they are, the message is enveloped in a poignant, gentle and nuanced drama. Astu on the most apparent surface might be about the dreadful disease of Alzheimer’s, but like all their films there is a lot more themes that are touched. It is about the conflict of rationale and emotion: the family is under the dilemma of choosing between tending personally to the patient and putting him up in an asylum. It is about how at times illiterate people are quicker to accept and understand, while learned people think and analyse. From showing us a series of events Astu rises to a deep and layered discussion about what it means to be a human. It is a bit similar to the wonderful Aankhon Dekhi in that both films try to explore similar philosophical themes. 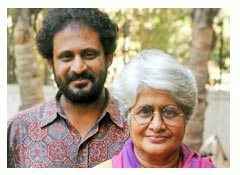 Bhave-Sukhtankar have taken up subjects dealing with illnesses that are misunderstood in India and have made equally beautiful films before. Devrai (2004), one of their best films, explored the mind of a schizophrenic and another film, Nital, was about how our society makes life difficult for people (especially women) diagnosed with the skin disease Vitiligo. Both these, much like Astu, went way beyond being just ‘message films’. Trust their films to have a layered screenplay with intriguing characters. Atul Kulkarni’s performance as the schizophrenic in Devrai has to be one of his better performances in his impressive repertoire. Ha Bharat Mazha (2012) is a personal favourite of mine. It dwells into the lives of the characters of a middle class family, each of whom are facing an ethical dilemma due to the ongoing Lokpal agitation. I think they perfected their style in this film with the trademark socially conscious, well observed and deep screenplay, credible performances and assured direction. The non-intrusive camerawork by Amol Gole deserves a mention here. I also particularly loved their Sanhita( The Script). The film is about a lady filmmaker who is commissioned to write a screenplay involving a King, Queen and a court-singer in a princely state from the British Raj. Parallels are then drawn between the characters in the story and that in the real life of the writer. It was their rare film that had a bit of grandeur and a lot of delectable Hindustani Classical Music. But, tragically, like almost all other films by them, this one too sank at the box office despite being produced by Mukta Arts as it was badly promoted and got a poor deal in distribution. It had no less than Milind Soman to add some glamour to the film. Both these films haven’t released on DVDs either, neither are they available on other sources on the internet. The biggest feature of their filmmaking is the sophisticated simplicity. Their cinema is thematically deep, but they never let the technique overpower the subject. They aren’t showy about anything. The style is reminiscent of the Iranian cinema of Majid Majidi or Abbas Kiarostami. If they had the necessary clout, Bhave-Sukhtankar would have been well known contemporary Indian directors in reputed International film festivals. Yes, their cinema is that good! Their films deserve a much deeper analysis than this hurried post of mine. The new order of Umesh Kulkarni, Sachin Kundalkar, Nagraj Manjule, Paresh Mokashi etc. is indeed very exciting, but it is the consistency with which these two have been churning quality cinema for more than a decade now is what is really admirable. They are among the most dependable Marathi filmmakers and certainly my favourite. Superbly written… this duo deserve more appreciation…they have maintained d versatility of marathi cinema…raising bars with every another movie..!! Thank you! I am glad you think the same. 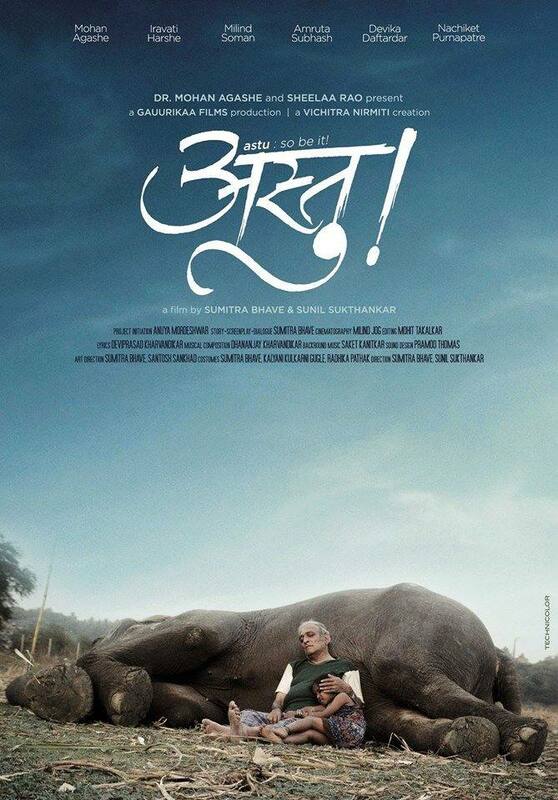 Saw, astu another day ..just by chance as I don’t know Marathi. .only a bit of Sanskrit..and rest subtitles..but hats off to the directors..actors..and especially the script writer..the film has a depth which in my experience is rather scarce commodity in films.Offcourse this movie might not have done too well comercially but it is these very films which raise filmmaking to a sublime art.As an neurologist who deals with Alzheimer’s patients I found depiction by Dr Mohan Agashe perfect to the book..The philosophical depth and the way the story plays out is superb..kudos to the full team..I think they are real salt of filmmaking taking it above crass and mundane to spiritual heights. Glad to know that Astu appealed even to a neurologist who has seen such patients closely.